I'm back from my very short trip away. I'm not going to say it was a break - because I was flat out racing around after my two littlies 99% of the time. They had a fantastic time visiting their other grandparents, going to the beach, riding roller-coasters and other kiddy rides at a theme park and we got to experience some fabulous south east Queensland thunderstorms (thanks for that!). Before I forget, a big thank you again to my five lovely guest bloggers who looked after things here for the last five days. 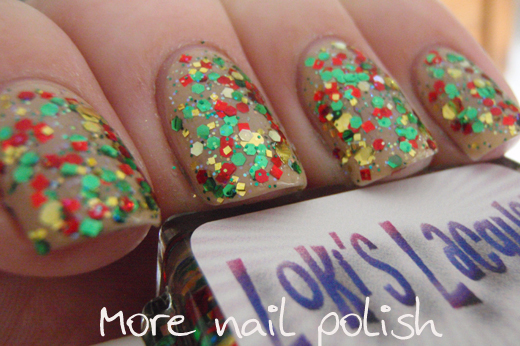 I'm back with a big Christmas bang today with a whole collection of six holiday themed nail polishes from new Aussie indie brand Loki's Lacquer. 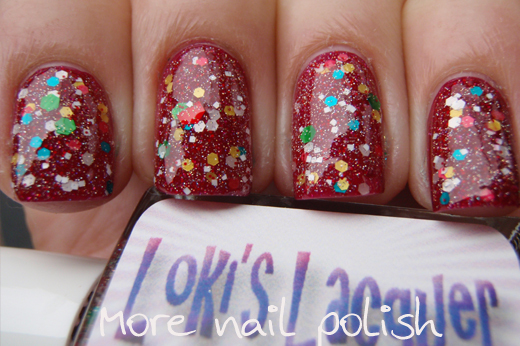 I'm soooooooo ready for holiday themed polishes! 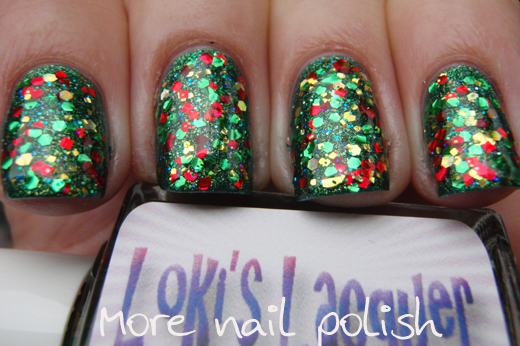 Merry Christmas - two thin coats layered over Zoya Logan. This one is your traditional Christmas in a bottle look. Red, green and gold hexes and squares in various sizes. I love the look of this over green, but you just know it would look beautiful over black, white or red. 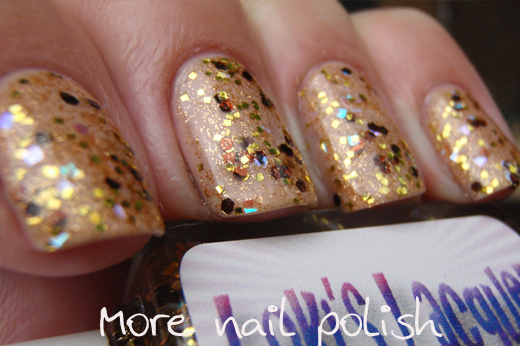 The applied really easily and is nicely packed with glitter. Merry Christmas, two coats layered over OPI Don't Pretzel My Buttons. I thought it would try this out over a less traditional colour, and I loved it. 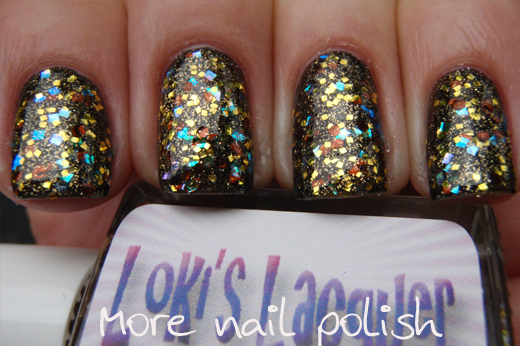 Three wise men - two coats layered over Zoya Storm. 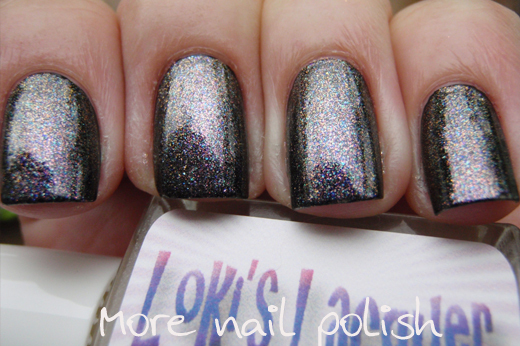 I love the look of this polish too. 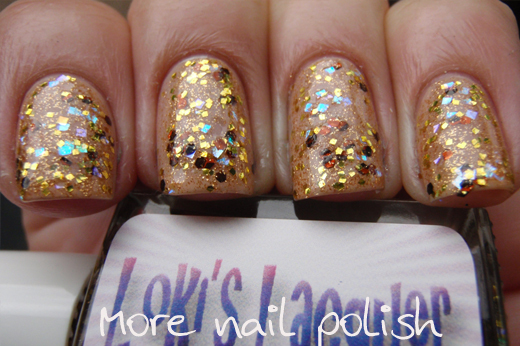 The inspiration behind this polish is the three gifts that the wise men brought to baby Jesus - gold, frankincense and myrrh. The gold is represented by the gold square glitter. The frankincense is represented by the iridescent square glitters which shift from orange through to blue aqua green. The myrrh is represented by brown glitter and ultra fine copper glass flecks. 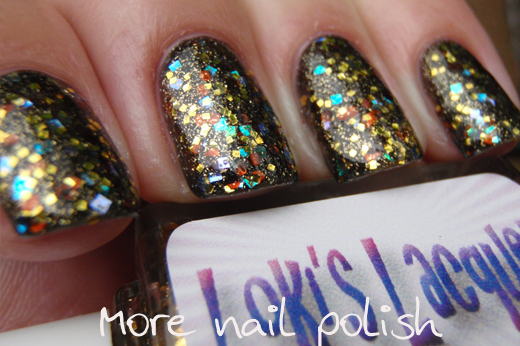 The iridescent glitter in this really pops over a dark base. Three Wise Men over OPI Don't Pretzel My Buttons. 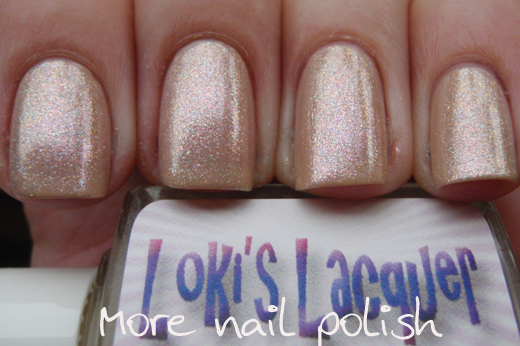 Surprisingly I also really loved this over a neutral base colour too, then again, I have a very soft spot for gold polishes, so this will be a winner over anything for me. 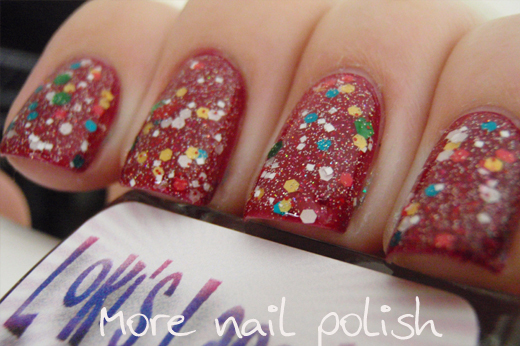 This one also applied easily and has plenty of glitter payoff. 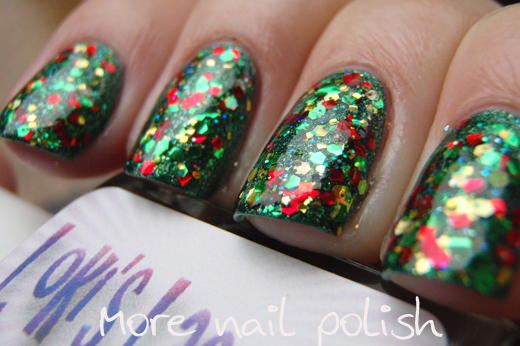 Tinsel - three coats on its own. 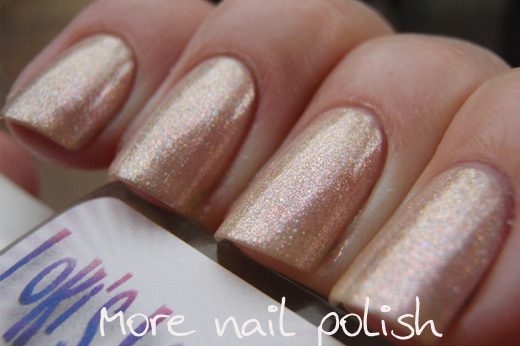 This one is meant to be a top coat, but it easily reaches opacity on its own. 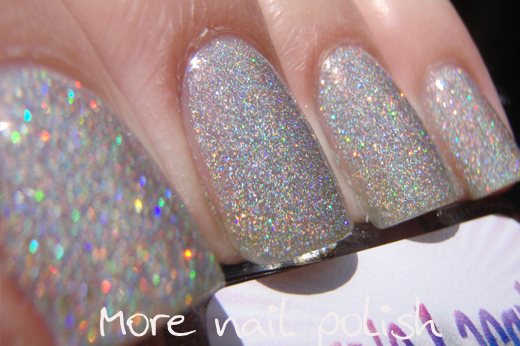 Its made up of fine holo pigment as well as micro fine holo glitter. This applied easily and smoothly. Here is one coat of Tinsel over black with Seche Vite top coat. Very sparkly and pretty, which isn't really captured in my photos. Trimming the Tree - one coat over red. 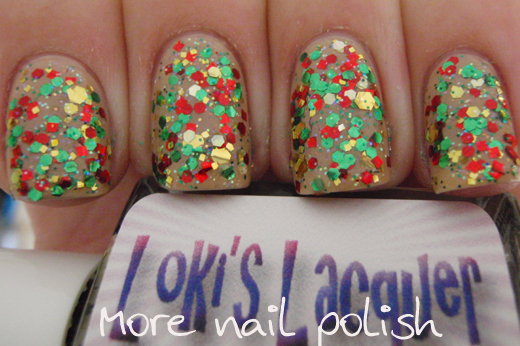 This polish is all about the crazy random mess that a Christmas tree can become after the kids get into the box of baubles and throw them on the tree! Our tree used to be like that, but now my tree is very colour coordinated with only red and gold baubles and red and gold bows. 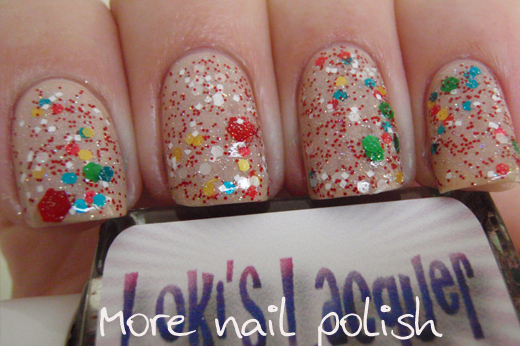 This polish has many sizes of hex glitter in red, green, white and matte yellow. 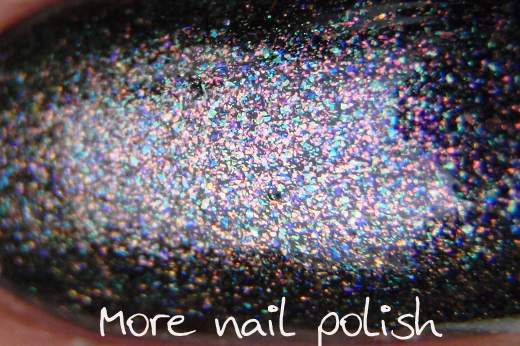 White squares and a fine holographic glitter. Now here is Trimming the tree over OPI Don't Pretzel My Buttons. 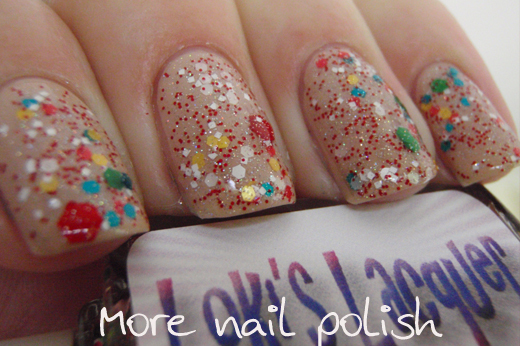 I love how you can see the small red glitters when this is layered over a lighter colour. I didn't want to choose white, cause then the white glitters would be lost. I think I'm gonna need a backup bottle of Don't Pretzel My Buttons, I like it and wear it a lot. 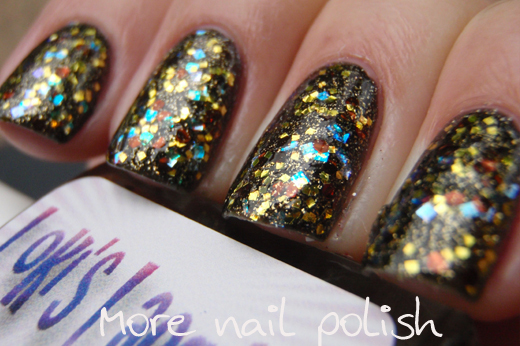 A Little Bit of Magic over (you guessed it) OPI Don't Pretzel My Buttons. This looked so amazingly pretty and my pictures just make it look ok. 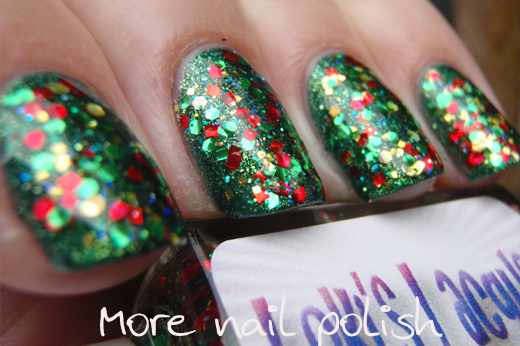 This one really reminds me of the Ozotic Beam polishes because it's make up of iridescent micro flakes in red, green, blue and aqua. One coat of A little bit of magic over black, you can see the different coloured flakes in this much better over black. 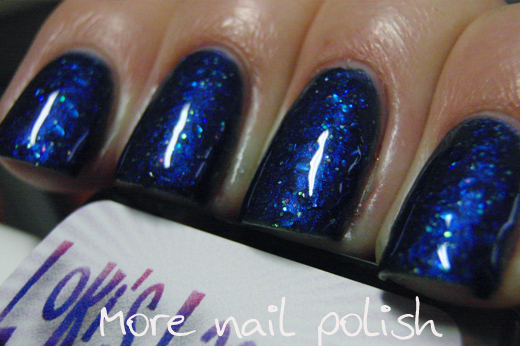 O' Stary Night - two coats on it's own. 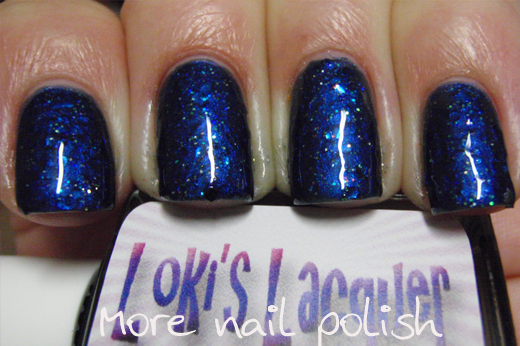 This one is described as a navy blue pearl shimmer base with white diamond glitter and navy hex glitter. 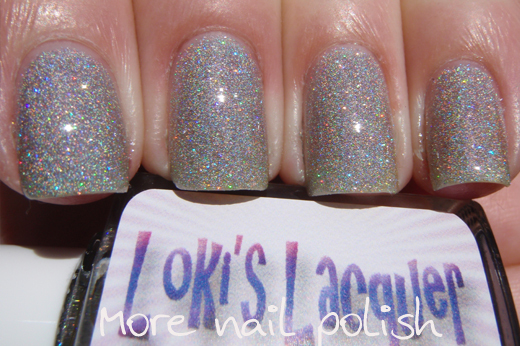 These photos are taken in artificial light, cause I just couldn't get decent ones of the colour outside. 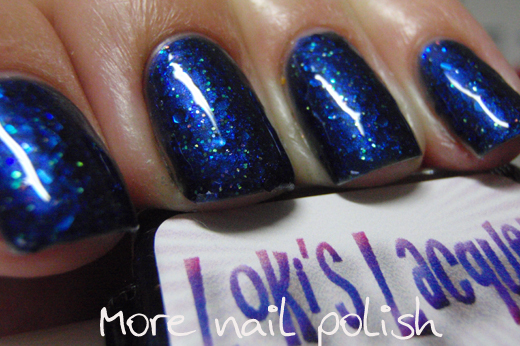 I did find this one trickier to apply, the glitters were a little clumpy and I had to giggle them to smooth them out, but if you love dark blue glitter polishes, this is a beauty. What do you think? 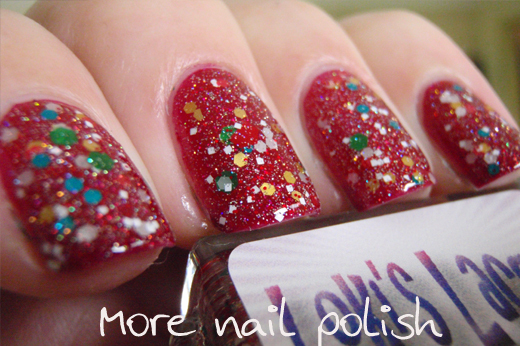 Do you like this holiday collection of polishes? I really love them and can see lots of layering combinations. There weren't very many indie brands around last year, whereas this year there are literally hundreds, so I'm enjoying checking out all the indie brand holiday collections. 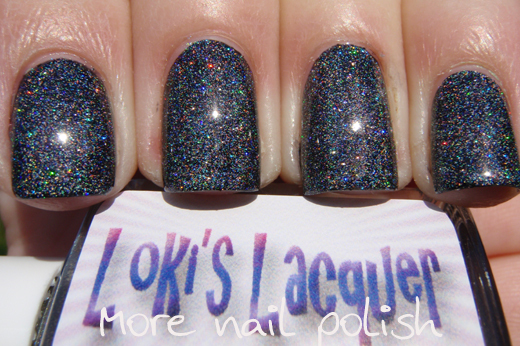 Loki's Lacquers are available from her Etsy store and are available in full sized or mini bottles. At this point in time she does ship internationally, you just need to contact her for details.